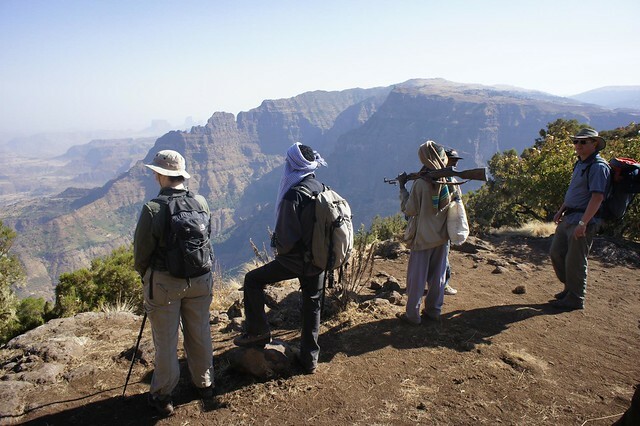 Read our low down on trekking in the Simien Mountains, with information on routes, seasons and how to organise a trek. The Simien Mountains in Ethiopia are simply put, one of the best trekking destinations in the world. Jaw dropping views, wall to wall sunshine, generous hospitality and rare wildlife combine to make for an unforgettable trek. 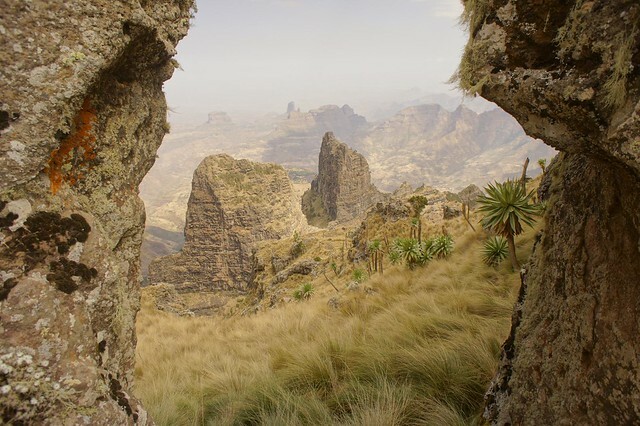 The Simien Mountains National Park is a UNESCO World Heritage Site boasting rare populations of wallia ibex, gelada baboon and Ethiopian Wolf, alongside a rich and diverse flora and birdlife. 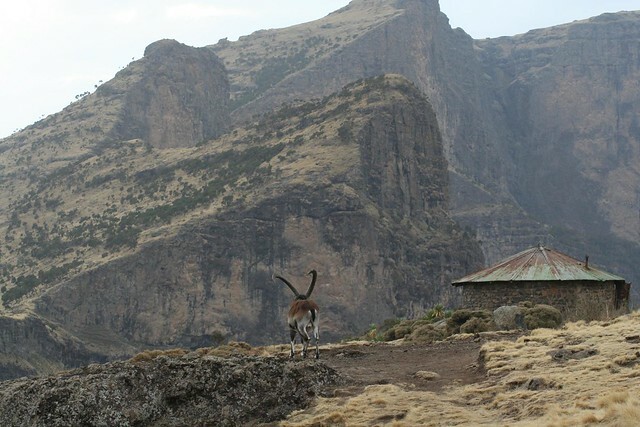 Virtually all trekkers follow the same route along the ridge of the Simien Mountains National Park that traces a route from Sankaber to Geech to Chenek Camp. This trail can be completed in 3 to 5 days with 4x4s having access to Sankaber and Chenek at either end of the trek. We recommend spending 4 to 5 days on the route as this gives you time to get to Imet Gogo (a standout view) and climb Mount Buahit. From Chenek, those keen on trekking for longer have a number of options. Many are tempted by the allure of Ras Dashen, Ethiopia’s highest peak, but apart from the altitude this route has little to commend it. Several brave trekkers attempt a multi-week traverse all the way to Lalibella, an incredible walk through rarely visited parts. Alternatively trekkers can head to the lowlands via Sonar, Mekarba and Mullet campsites, a lovely route with several swimming spots in the rivers and rarely visited camps. Tourdust arranges private treks to the Simien Mountains either from Debark or from Addis Ababa and including other parts of Ethiopia. We usually recommend a 5 day trek in the Simien Mountains which gives an extra day at Geech Camp to explore Imet Gogo and an extra day at Chenek to head up Mount Buahit for a sense of achievement before heading back to Gonder. The four day option follows the same route as the 5 day trek, but with less time to enjoy the viewpoints from Geech Camp. 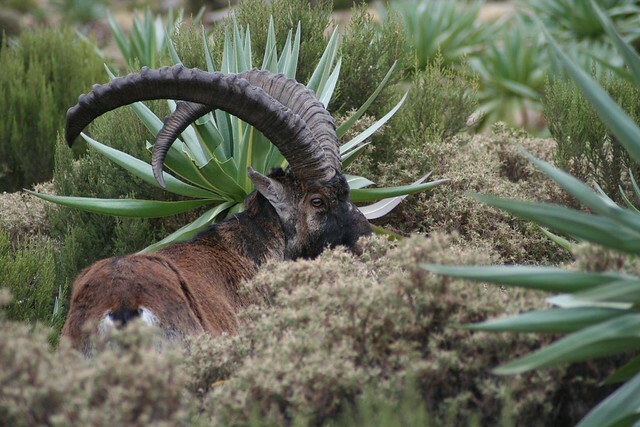 The three day option is more of a compromise and doesn't cover the stretch from Geech to Chenek Camp which arguably offers the best views and undoubtedly offers a better chance of spotting Wallia Ibex. If you have more time then we strongly recommend an extended 8 day Simien trek that adds on 3 days of trekking from Chenek to the lowlands to the standard 5 day route. It would be criminal to go all that way to Ethiopia and only visit the Simian Mountains. As a priority you will want to make room to spend a day in Gonder (you’ll be passing through anyway to get to the park and there are some fascinating castles) and a day or two in Lalibella (unmissable thanks to its countless ancient rock hewn churches). If you have more time then you can include a Simien Mountains trek as part of the popular Northern Historical Circuit, which includes stops in Bahir Dar, Axum and Makele. Other highlights of Ethiopia worth prolonging your visit include the fascinating ethnographics of the Lower Omo Valley and the wilderness of the Danakil Depression. Both of these trips would require an extra week at least. 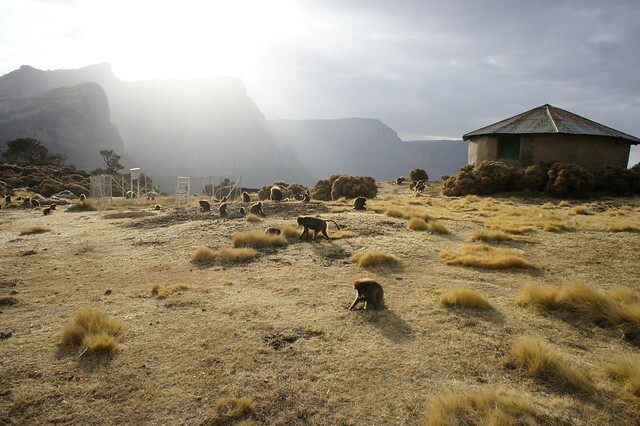 As a UNESCO World Heritage site, the Simien Mountains National Park has a very well organised set up. Trekkers need to sign in at the park office in Debark. Regulations govern minimum pay standards for guides, cooks, muleteers and scouts. Although guides aren't formally required, rates aren't high, most guides are trained to a very good standard and have a depth of knowledge about the flora and fauna of the park. Given the minimal outlay it seems churlish to deny the employment opportunity. Scouts are still required and carry rifles throughout your time in the park. This is always a cause for concern for visitors, but is really just a throw back to the old days then the mountains were full of bandits and the scouts were paid to protect the villagers. When is best to trek in the Simien Mountains?